As one sifts through material in search of interesting houses for the book, looking for interesting houses that will interest and delight the reader, one is distracted by many other bits along the way. For example, I've had this illustration, from American Architect & Building News, on file for years, Designed by James Brown Lord for one Mrs. S.K. Henning. Not much evidence that it was ever built, but curious, I persevered. Even in the age of Google, one has trouble finding much about Mrs. Henning. 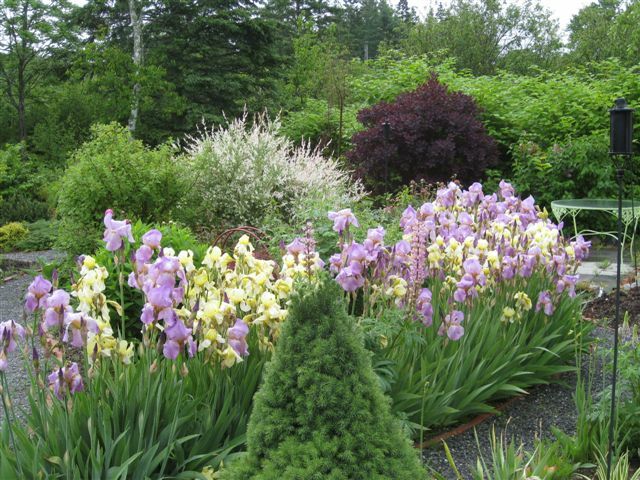 Her first name was Sarah, neither husband nor source of fortune are mentioned, and her social life seems to have been led mostly Tuxedo Park-Bar Harbor over a brief few years before and after 1900. Since then, the old Bar Harbor newspapers have become available digitally, and a few weeks ago, in pursuit of other information, I came across a mention in the Bar Harbor Record of June 1894 which announced that Mrs. J.H. Henning of Louisville, Kentucky and her two children were guests at the St. Sauveur Hotel while their new cottage on Cleftstone Road was being completed. Hmmm. But where on Cleftstone Road, and was it the house shown in American Architect? This of course, is where your completely undisciplined Uncle Dilettante strays off the path he's supposed to be following, and true to form, I wandered off to find more. 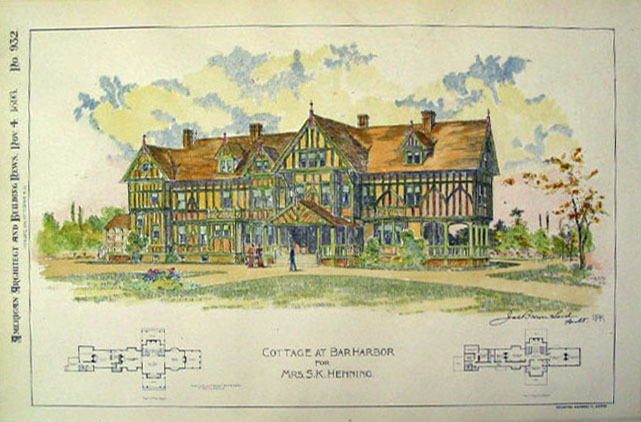 A quick search turned up an article about Mrs. Henning's new cottage, describing a house nothing like the one designed by James Brown Lord, which obviously hadn't been built. 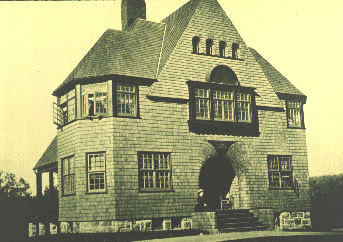 The article was accompanied by a crude wood engraving showing the new house, called 'Air Castle', into which Mrs. Henning and children moved on August 01, 1894. 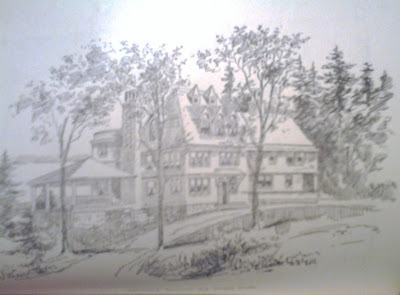 A further search finds the family in residence for the 1895 season, and then they disappear from the face of Bar Harbor, consistent with the 1896 completeion date of the house in Tuxedo Park, completed in 1896. 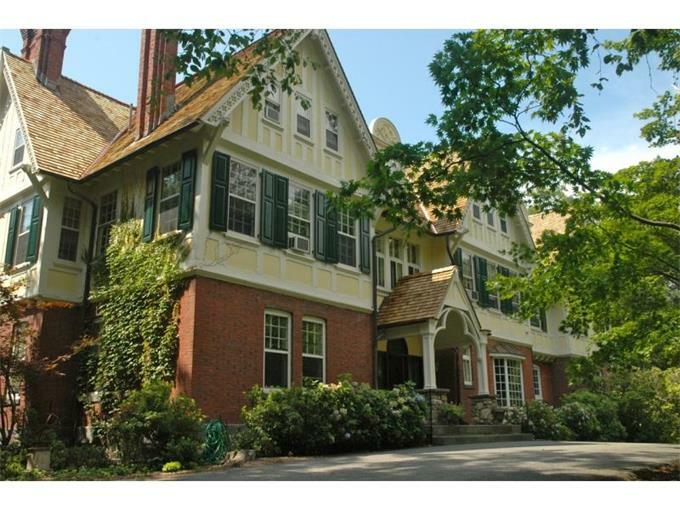 One has no idea why they departed Bar Harbor so quickly, after having tried it out for a couple of seasons then having built a large cottage only to sell it two years later but there you have it. 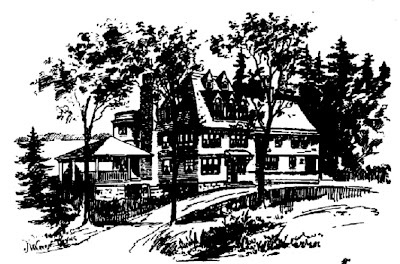 On the 1896 Bar Harbor map, the cottage appears, renamed 'Hillhurst' and owned by one Helen Seely (for those of you who protest that the shape pictured is not consistent with the house pictured, let me assure you that on the more accurately delineated 1904 map, it does appear correctly). The problem? In the guidebook, the picture was captioned as 'Cottage at Bar Harbor, designed by Andrews Jaques and Rantoul". I'm resisting further research. I have a book to complete. But enough about the weather---certainly we've had enough---the reason that the house looked so familiar is that it was clearly inspired by one of the original houses in Tuxedo Park, Bruce Price's Travis Van Buren cottage, below. We are embarking on Week III of not particularly cold (for March), but very gray and dreary weather---rain, drizzle, freezing rain, freezing drizzle, dry snow, wet snow, snow mixed with rain and drizzle, rain and drizzle mixed with snow You get the idea. And the mud! Oh the mud! Maine practically depopulates from mid-March to mid-April, and with good reason. 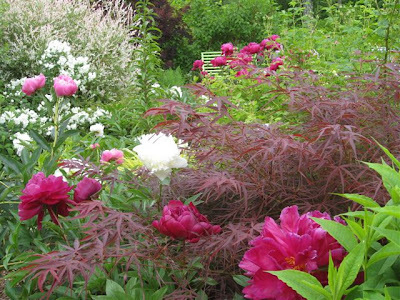 The winter won't kill you, but the spring damn well might.